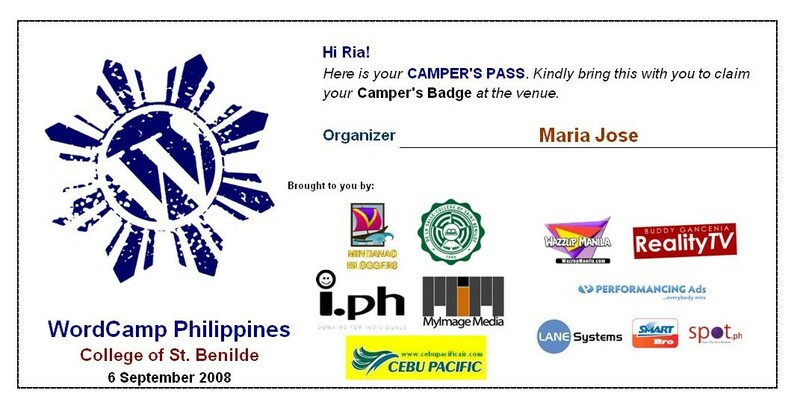 I have received my official WordCamp Philippines pass! And I am excited, who wouldn’t be? Interesting talks, enthusiastic campers, engaging speakers, nice shirts, generous sponsors, hard-working volunteers, and the MATT MULLENWEG! What else can we ask for, right??? NOTHING! Don’t forget to enlist for the morning breakaway sessions. I heard the news about this just a week ago then tried to register but it was already close for registration. Sayang.. But anyways congrats especially sa organizers and to the mindanao bloggers. Galing ng mga taga davao.